When MUNA released their debut album 'About U' last February, they very quickly became THE band of the year. About U doesn't have one bad song on it, and I was incredibly unfortunate (not to mention devastated) to miss out on seeing them live when they were in the UK last year. 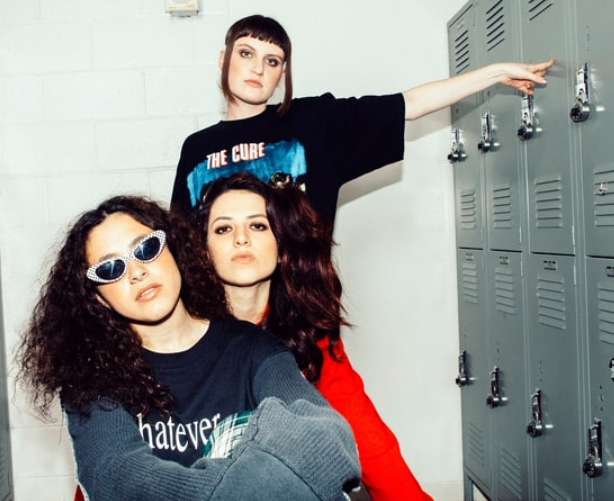 They're more than aware of the dedicated fanbase they've built up, and whilst we patiently await their second album with much anticipation, MUNA are celebrating their breakout year with an Acoustic EP. Recorded by the trio on the anniversary of 'About U's' release, the EP is made up of Crying On The Bathroom Floor, If U Love Me Now and I Know A Place. It's an absolutely magnificent EP, turning their energetic, dance-floor bound hits, into more subtle, emotional numbers and I am completely here for it.